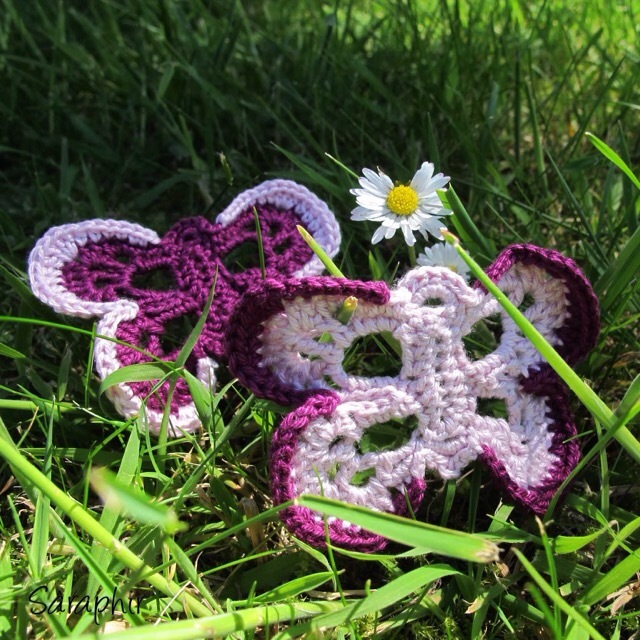 I am very happy to finally have finished writing out the pattern for these wee butterflies. 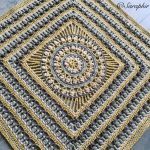 This is the first pattern I designed back in 2014 when I was just starting out my crochet adventure and what a journey it has been! When I first started I somehow had lots of ideas involving butterflies – I imagined making very large and lacy ones to put on cushions, lampshades etc and making all sorts of variations. Well…. 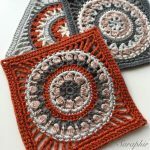 I designed two (the pattern for the larger one is available here) and kept the smaller one going, but have abandoned the larger one – certainly for sales purposes. The smaller one I still sometimes make for orders or for shops. I suppose I in some sense have moved on from designing butterflies… not that they are not lovely, but there is only so much butterfly one can have in one’s life (though some would disagree, I am sure!) So my ideas no longer involve butterflies, but many and varied other things! 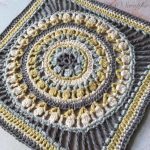 Next up are some hexagons, knitted hat patterns, a mandala and more… the list of ideas is growing faster than I can execute them! 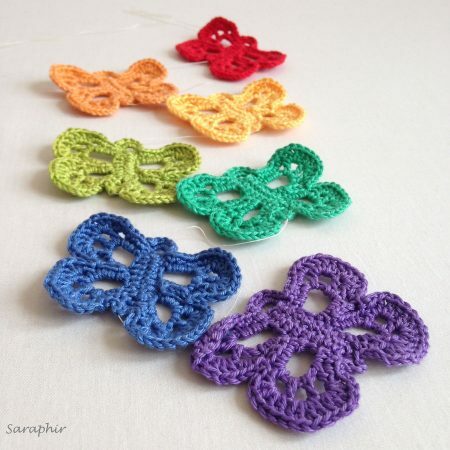 I make my butterflies with Patons 4 ply 100% cotton yarn (2.5 mm hook) or Scheepjes Catona 4-ply 100% cotton yarn (2.75mm hook), but any yarn can be used, just adjust the size of the hook to fit the yarn. 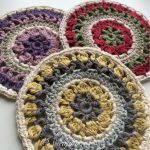 I did try to make them with wool, but I found they become too floppy and a bit too furry for my liking, so I would recommend using cotton or linen or another shiny, firmer yarn. The pattern is written in UK terms. You are welcome to sell what you make with this pattern, but please credit me as the designer or, if you sell online, post a link to my pattern. You may not sell or redistribute this pattern in any way or pass it off as your own work. Round 1: dc in 2nd ch from hook, 1 dc in next ch, 1 htr in next 4 ch, 1 dc in next ch, (1 dc, ch 1, 1dc) in last ch, 1 dc in next ch, 1 htr in next 4 ch, 1 dc in next 2 ch, ch 1, ss in first dc. Round 2: 1 ss in next dc, ch 10, ss in next 3 htr, ch 10, skip next htr, ss in next 2 dc and chsp, ch 4, ss in next 2 dc and 1 htr, ch 10, skip next htr, ss in next 2 htr and next dc, ch 10, ss in next dc, ch 3, skip rest of sts, ss in 1st ss. Round 3: In ch10sp: [1 dc, ch 1, 1 tr, (ch 2, 1 tr) x 3, ch 1, 3 dc], skip next ss, ss in next ss, skip next ss. In next ch10sp: (3 dc, ch 3, 1 tr, ch 2, 1 dtr, ch 2, 1 tr, ch 3, 3 dc), skip next ss, ss in next 2 ss, 6 dc in ch4sp, ss in next 2 ss, skip next ss. In next ch10sp: (3 dc, ch 3, 1 tr, ch 2, 1 dtr, ch 2, 1 tr, ch 3, 3 dc), skip next ss, ss in next ss, skip next ss. In next ch10sp: [3 dc, ch 1, (1 tr, ch 2) x 3, 1 tr, ch 1, 1 dc], ss in next ss, 5 dc in ch3sp, ss in next ss. Lower wing: 1 dc in dc and ch sp, ch 2, (2 tr, ch 1, 2 tr) in ch2sp x 3, ch 1, ss in ch sp. Skip 3 dc and ss. Upper wing: skip next 3 dc. (1 ss, 1 dc, 1 htr) in ch3sp, (2 tr, ch 1, 2 tr) in ch2sp x 2, (2 htr, 1 dc) in ch3sp, 1 dc in next 3 dc. Head: skip 1 ss, ss in next ss, next 6 dc and next ss, skip 1 ss. Upper wing: 1 dc in 3 dc, (1 dc, 2 htr) in ch3sp, (2 tr, ch 1, 2 tr) in ch2sp x 2, (1 htr, 1 dc, 1 ss) in ch3sp. Skip next 3 dc and ss. Lower wing: skip 3 dc, ss in ch sp, ch 1, (2 tr, ch 1, 2 tr) in ch2sp x 3, ch 2, 1 dc in ch sp and dc. Abdomen: ss in ss and next 3 dc, ch 2, ss in next 2 dc and next ss. Fasten off. Start left upper wing: attach in 2nd dc from body, 1 dc in next 2 dc and next 2 htr, 1 htr in next 2 tr, 3 tr in ch sp, 1 tr in next 4 tr, 2 tr in chsp, 1 htr in next 2 tr, 1 dc in next htr and next dc, ss in next 2 ss and ch sp, 1 dc in next 2 tr, 2 htr in ch sp, (1 htr in next 4 tr, 2 htr in ch sp) x 2, 1 dc in next 2 tr, 2 dc in ch2sp, 1 dc in next dc, ss in next dc. Fasten off. Start bottom right wing: attach in 2nd dc from body, 2 dc in ch2sp, 1 dc in next 2 tr, (2 htr in chsp, 1 htr in next 4 tr) x 2, 2 htr in chsp, 1 dc in next 2 tr, ss in chsp and next 2 ss, 1 dc in next dc and next htr, 1 htr in next 2 tr, 2 tr in chsp, 1 tr in next 4 tr, 3 tr in chsp, 1 htr in next 2 tr, 1 dc in next 2 htr and next 3 dc, ss in next dc. Fasten off and sew in all ends. 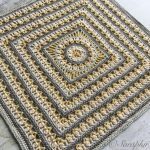 You will maybe have noticed that both the main pattern and the 2nd colour edging is not quite symmetrically done. 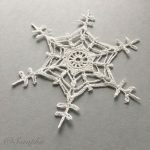 This is because of how the stitches work – when I made the pattern completely symmetrical it looked wonky, so the only way of getting it straight was to make the pattern slightly asymmetrical. Attaching new colours: I have worked out two ways of attaching a new colour when you are not actually changing colours during the round or row. One way is to make a loop around the hook with a knot in the same way as when starting the chains and inserting it through the stitch and make a slip stitch. The other is to pull the yarn through the stitch from the back to form a loop and make a chain. Both work. ch 6, ss in 1st ch to form a ring. ch 1, 12 dc in ring, ss in 1st ch. Make a chain as long as is needed for the butterflies to hang well. For 5 butterflies I make a chain that is 1.5 meters long. When the chain is long enough make another 7 chains and ss in the first of these 7 chains. Move the thread under the chain. 12 dc in ring, ss in 1st dc. Fasten off and sew in ends. Now you can attach the butterflies with a bit of string to selected chains in the cord or make them into a string or mobile. It takes time and money to maintain a blog and produce patterns for free, so if you feel like making a small contribution towards this if you like the patterns I would greatly appreciate it! Love your patterns! You are so kind to share so freely with all of us! Since I live on Retirement Income, after food, medical, etc. there’s not a lot left over for “play money”, so free patterns have been a life-saver for me! It is especially kind of you to ‘translate’ and have so many patterns shown both in UK and US terms! It takes me so long to translate myself…and this is very, very much appreciated! So THANK YOU AND GOD BLESS YOU! I am hoping that when my next check comes, perhaps I can send a small donation to you. This butterfly pattern – this is in UK terms, right? 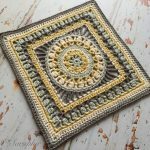 Just want to make sure before I start making one…I read only quickly through the pattern and did not see any Single Crochet stitches, so that makes me think this is written in UK terms? 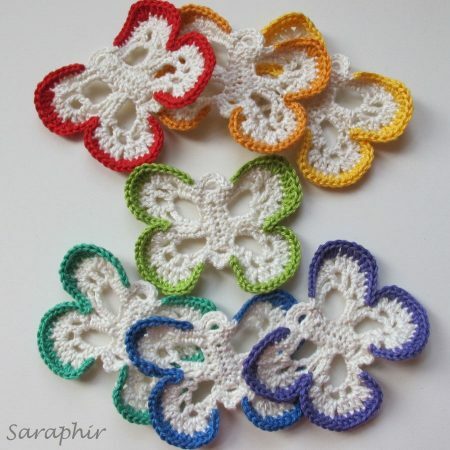 I can work it out – I am NOT asking you to do so…just want to make sure, as I said, before I start working on one…this is such a lovely Butterfly pattern! thank you again. 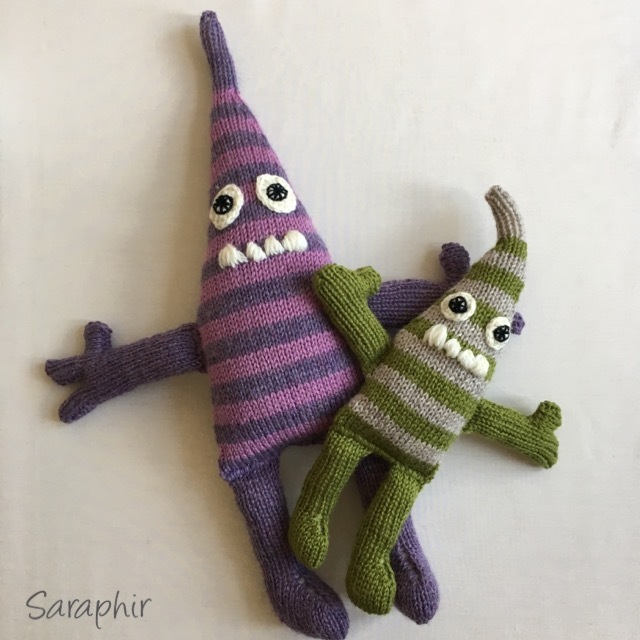 Thank you, Saraphir, for sharing so much with all of us! It is so appreciated! The above link will not let me load the butterfly pattern. Could you possibly e-mail it to me? I think it is the prettiest one I have seen, yet. Beautiful!!! And thank you for the pattern. I’ve almost finished the throw I’m working on and have been looking for a little something for the summer.